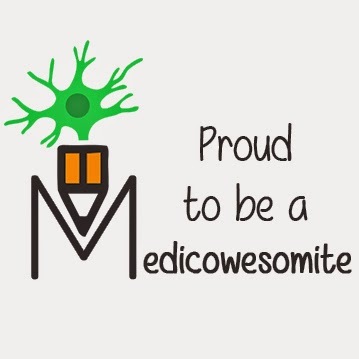 Medicowesome: Being street-smart during interviews: Buses! Match season is a a really unique life-time experience. You will travel for interviews, meet new friends, visit states you have never visited before and of course, spend some money. Although flights in general are the fastest most-convenient way to travel, you may try “bus inter-state travelling” which is much cheaper than taking a flight. > It covers most of the states in the US. > they have stations where you can sit and wait in (which is very important especially during Winter when it is freezing and snow is everywhere!). > Starting from late 2017, you can use an E-ticket (emailed to you) instead of a printed ticket. > They have nice discounts up to 50% sometimes, be sure to sign in and check their website for promo codes especially on Thanksgiving, Black Friday, New Year’s Eve. > in general, their prices are more expensive than other bus companies. > slow wifi (sometimes non-existent :D). > Be careful around the stations especially at night, stay indoors! > If you buy the ticket using a visa card with a different card-holder name than your’s, they will charge you an extra 18 dollars :( . > Some passengers may be really weird. If you miss your trip, you will be charged 20$ to issue a new ticket and catch the next one. > Cheaper and can be as cheap as 1 dollar! Check their website regularly. > E-tickets are available too. > Buses are newer and more comfortable. > Passengers are “less weird”. > less state coverage than Greyhound. > No stations, you have to wait in the street which can be very bard especially if it is raining heavily or snowing. You can change your trip (if more than 3 hours left till departure) after paying a fee of 20 dollars. This is good to avoid losing your money if you had to cancel your scheduled trip for any reason. Less state coverage but they have a nice feature which is using the ticket within a year of purchasing it. This is based on a personal experience, so you are welcome to try anything you want and put in mind that delays may occur here or there especially with bad weather. It will show you names of buses and trains that are available in that state in addition to airports and car rental options.